With the ratification of the UN Convention on the Rights of Persons with Disabilities, Germany made a commitment to an inclusive education system. Accordingly, pupils with special educational needs are increasingly being taught with other children in general schooling. Empirical findings show that inclusive learning can have a positive effect on the educational trajectories for both of pupils with special education needs and of their classmates without equivalent special needs. That said, there are vastly differing approaches in Germany to establishing suitable conditions and support programs for those pupils with special educational needs in general schools. Currently, there exists no conclusive description of the current state of inclusive schooling in Germany. Little is known, and even then only on a regional level, about the effects which the different conditions and processes of the structure of educational inclusion have on pupils’ school careers and their admittance into professional training – this is especially true for the lower secondary tier. The requirements for the success of inclusive learning remain unclear, even though they represent the basis for the development of political strategies and reform measures. 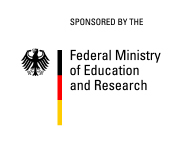 The following questions form the focus of the project ‘INSIDE – Inclusive Education in Lower Secondary Schools in Germany’, which is a cooperation between the Leibniz Institute for Educational Trajectories (LIfBi), the Institute for Educational Quality Improvement (IQB), the University of Potsdam (UP), and the University of Wuppertal (BUW): How is educational inclusion implemented in the lower secondary tier in Germany? What conditions are necessary for inclusion to result in the successful personal development of pupils with special educational needs, and what effect does inclusive learning have on their classmates? How are teaching processes designed to take individuals’ initial learning capabilities into account adaptively and individually, in order to further the development of children and young people with and without special educational needs in general schooling? In answering these questions, particular consideration is paid to the different dimensions and conditions of successful implementation of inclusion in secondary schools. The project is also accompanied by interested parties from civil society (decision makers, practitioners, and stakeholders). The project is intended to create an underlying data basis which is to be made available to the scientific community for further research.